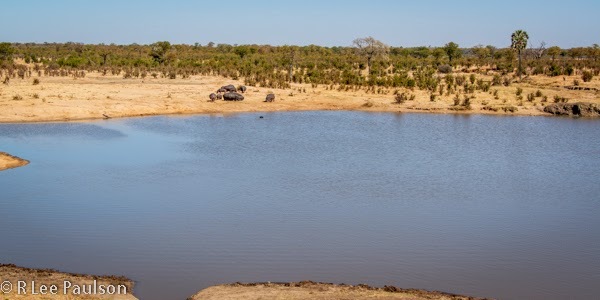 Zimbabwe is home to Hwange National Park, the largest game reserve in the country. It has many diverse habitats and hosts over 100 mammal and 400 bird species. 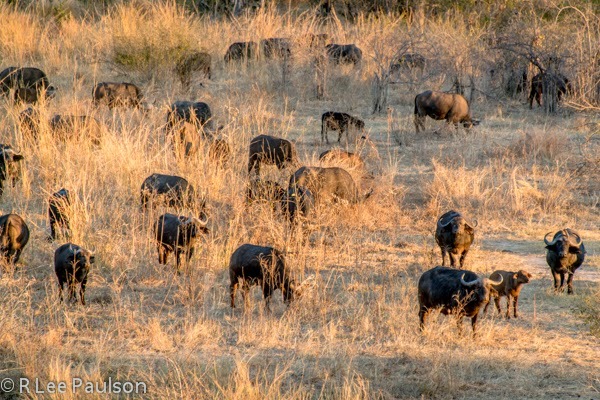 Herd of Cape Buffalo grazing late in the afternoon. But Zimbabwe is also home to a political system that is rife with corruption and the abuse of power on a scale that is hard to imagine in the west. The dictator/president Robert Mugabe has literally destroyed the economy, not to mention the ability of the country to produce its own food. 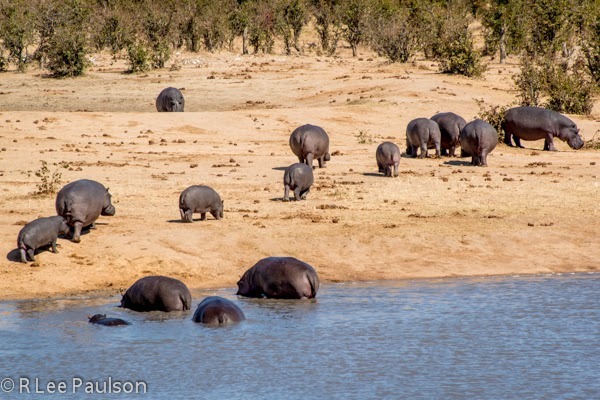 I had no idea before this that hippos hung out in herds this large. His actions, while devastating to his country, were, in my opinion, an attempt to right wrongs that were rooted in colonialism. 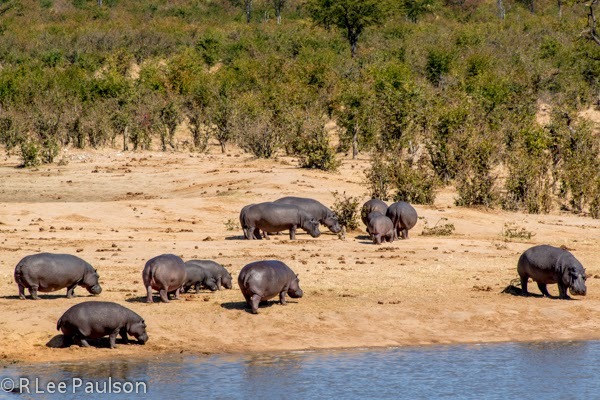 This was the only time we saw hippos out of the water in the middle of the day. European colonial powers took complete control of the countries they colonized. As part of that system, indigenous people were not allowed to become educated. 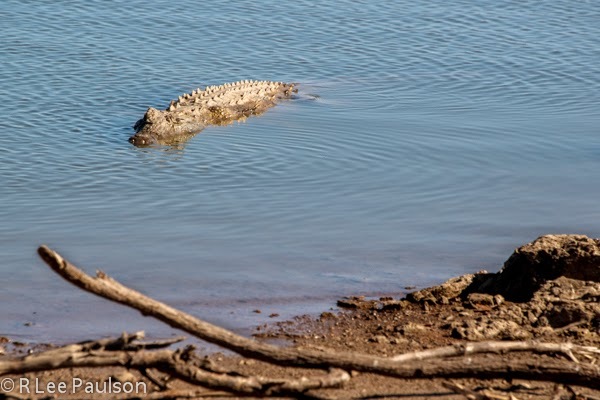 Numerous crocodiles roamed the lake as well. This one is obviously well fed. When the countries were granted independence in the middle of last century, the economies of those countries was sustained by white, Indian and Arab settlers. 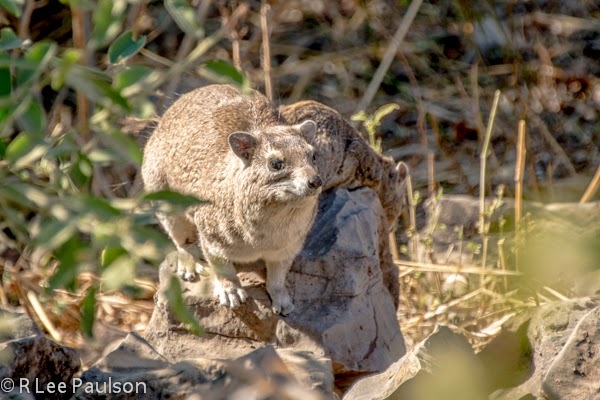 Rock Hyraxes warming themselves in the sun by a stream. African developing countries have all grappled with the problem of how to transition to an environment where indigenous people create the economic engine which sustains their economies. I know of no one size fits all answer to that issue. Mugabe recently expelled all of the white farmers, for example, claiming that Africans should take over their land and grow their own food. 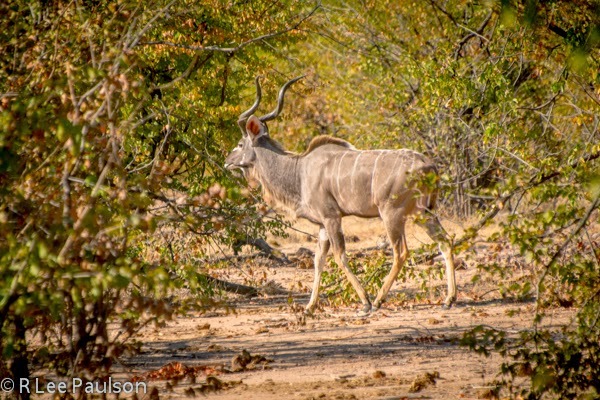 Male Kudu with his twisted horns. Unfortunately, he did that before enough black Zimababweans had gained the skills necessary to operate modern mechanized farming on a large scale the way the European settlers had. 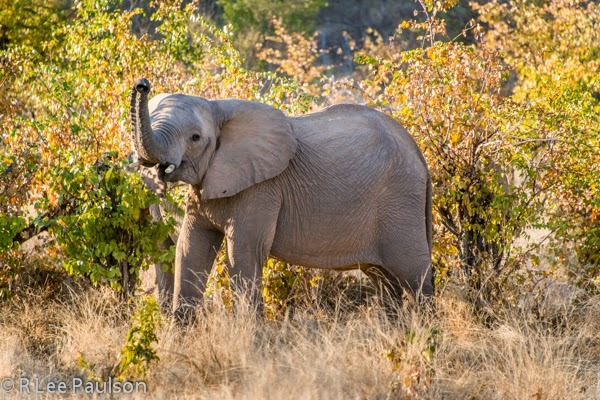 Adolescent elephant trumpeting at us. The resulting food production collapse turned Zimbabwe from a food exporter into a country that could not feed its own people. 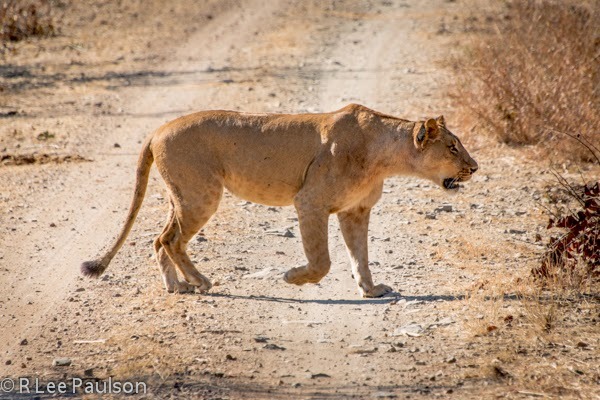 This lioness had just chased an impala across the road. 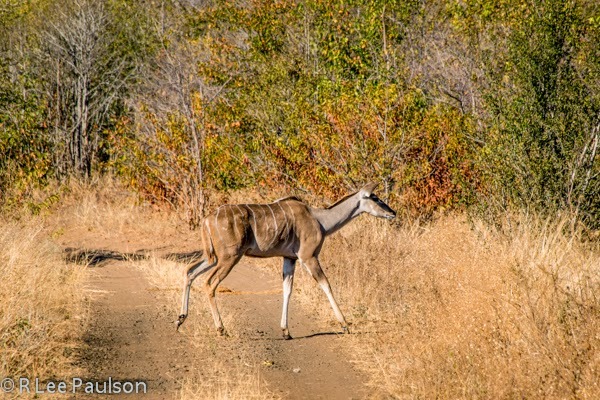 The impala escaped by the skin of its teeth. Other African countries who expelled Indian business people, suffered serious economic collapses as well. Some of those have begun to invite those people back. 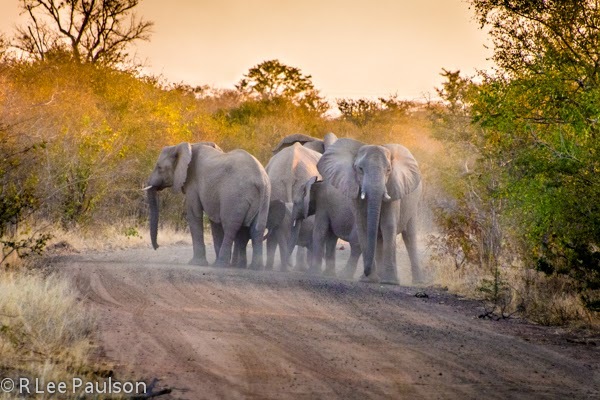 Elephants in the road at sunset. We waited, and they eventually moved. I pretend to be no African expert. But it would seem that resolving this issue will take time, require a significant amount of resources be allocated to education, and the creation of an environment which encourages indigenous business creation. 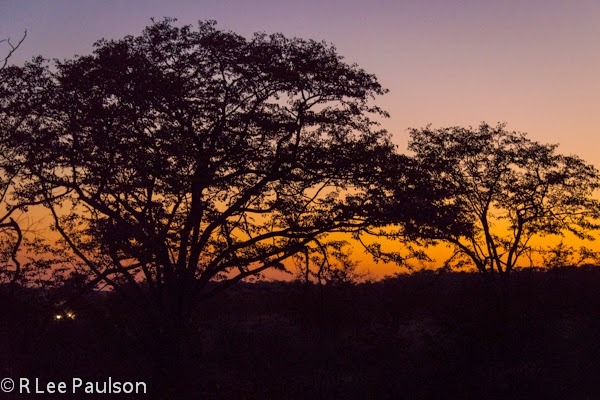 Sunset in Hwange. White dots at left are headlights of another Land Rover. That's a whole lot easier said than done, of course. In the meantime, the Zimbabweans we met encouraged us to come back and bring our friends. Our tourist dollars, they say, help them to survive while the political situation sorts itself out. Next we learn about Termites. Termites? They are more interesting than one might think. Continue on to Post 16: Fun with Termites, by clicking here.